What is a Proxy Server, Its Working, Types, Pros, and Cons? 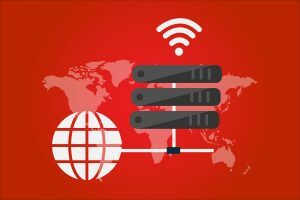 A ‘Proxy Server‘ which is also called ‘Proxy‘ most of the time, is a computer system which works as a gateway between a local network and comparatively larger network (most of the time internet). Security and improvement in performance are the two major factors making Proxy servers very popular. It also can be used to monitor incoming and outgoing resources throughout a specific network. The main concept of proxy server working is existing in between connection of sender and receiver of data. The incoming data is received at one port and then it is forwarded to receiver/receivers (network) through another port. Due to its critical existence between sender and receiver a Proxy server makes it very difficult for hackers to access the data as there is no direct way to reach to the network. The proxy server has the ability to store the results produced for several requests made by a number of the various uses of the network. So when the repeated requests made by other users of that same network, for the same data (web-page), it need not forward the request for the data it has stored in the memory. This saves a lot of time of responding the repeated requests sent by users. Proxy servers are also capable of filtering requests. One can set the proxy server to prevent the network users from accessing specific websites. So blocking malicious and unwanted websites by setting filter through a Proxy server is a very efficient utility. Why Should You Use a Proxy Server? Various reasons exist on why people and organizations use proxy servers. Basic usage is to control and monitor internet usage. An organization can track the internet usage of employees and parents track the children’s net usage. Access to certain sites can be restricted using proxy servers with a proper message mentioning that you are restricted from visiting this site. People need to blacklist those sites. Besides just blocking, the organizations and parents can monitor and log your web browsing requests which lets them know how much time you have spent in browsing net. Organizations get an enhanced network performance with a properly set proxy server. As proxy servers save cached copies of the data, therefore, multiple requests at multiple times can get easily served as it fetches the most recent copy to you. Proxy servers send just one request and therefore it improves network quality. The proxy servers allow browsing the internet more privately. This happens because either the server changes IP address or the web request information. Due to this, the destination server can’t figure out from where the actual request came. As there is a good level of privacy, therefore, the security level also enhances. You can encrypt the web requests so that your transactions remain safe. The encryption provides protection from malware attacks as well. In addition, the proxy servers can be paired with VPNs (Virtual Private Networks) so that users will always browse through the company’s proxy server. Through a VPN, the company can create a direct connection and allow only their users to use the network for internal communications with security. Yes, you read that right! Proxy servers can restrict sites but changing your proxy server can also give you access to other networks. You can evade into another network and watch the content over there. You can log into the proxy server of another country which will mask your identity and let you pass through the restrictions. Various terrorists and governments use proxy servers to keep a check on the activities and reach to the uncensored internet. Now, after knowing the benefits check on the risks given below. Anything that has benefits also has risks attached to it. Well, you might be knowing that the free things come with a big set of risks. If you really want benefits, you have to pay for earning those benefits. Free proxy servers don’t usually invest in robust models of hardware and backend which causes security issues. Some just lure you into the trap to steal your card numbers. They locally save your actual IP address and request information, and there is a high chance of it to be unencrypted. You need to ensure whether the proxy server you use saves data and which law and retention policies it follows. After all, you don’t want your data to be sold on the terms of free service, or for that matter, on any terms. A proxy server without an encryption is no proxy server at all. Without encryption, you are sending your data as plain texts. Anyone can trace out your details and misuse them. Complete encryption capability is necessary for a proxy server. Now, Let Us Have a Look at the Types of Proxy Servers. Yes, even proxy servers have different types. You need to understand what functioning you want from a proxy server so that you can reap proper benefits. As the name suggests, this type of proxy server can let you pass but it doesn’t hide your identity. Organizations, schools, colleges, institutes use a transparent proxy server. They are easy to set up on both the ends. This server keeps your anonymity by not passing your IP address to the destination server. Your web requests are not logged and hence that prevents identity stealing. Browsing anonymously can save you from the location related advertisements, but mind that it is not ad-free completely. This server masks your identity and shows you from a different location, thus gaining you access for those location restricted areas. You can mask your identity as one of their IP addresses and browse the content on their network which is blocked for your actual IP address. These type of servers frequently change the IP address so that your device’s original IP never gets traced, thus providing you with a high level of anonymity. So, this was all about the proxy servers. You can choose one according to your need, choice, and after evaluating the benefits and risks.